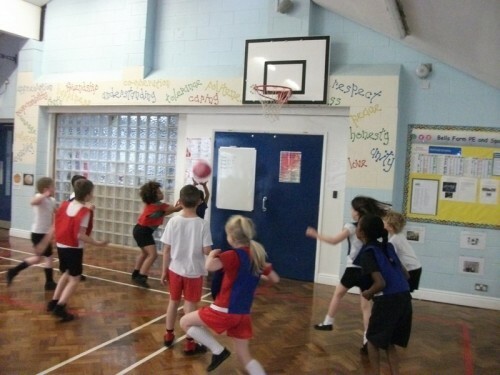 In PE today, Year 3 developed their control and coordination by playing basketball. 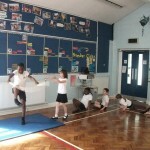 It was as much as about teamwork as it was about coordinating themselves around the court and developing their ball control. 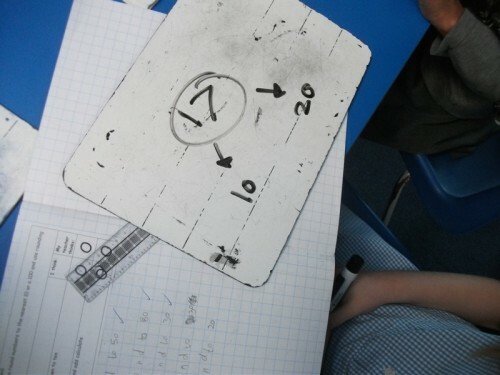 In Maths, Year 3 learned how to use the array method and inverse operations for multiplication and division. 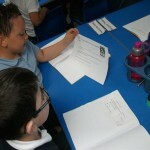 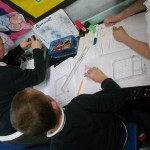 It gave them a chance to develop their multiplication skills and division questions. 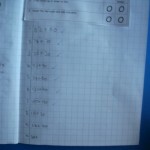 “This is easy” said Casey. 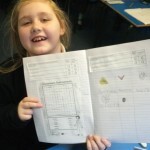 Well done to Hazel and Kyron for completing all the work aswell as the extension tasks. 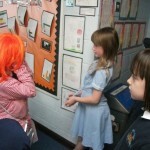 In Literacy we had a class discussion about the book we are reading ‘Bill’s New Frock’. 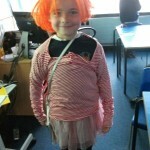 We saw that Bill was treated differently because he was a girl. 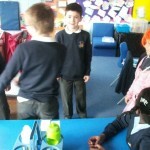 We had a list of scenes where the boys were treated differently and had to decide whether it was fair or unfair and say why. 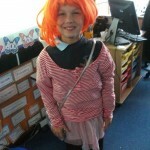 “I think its unfair because boys and girls should be treated the same”, said Josh. 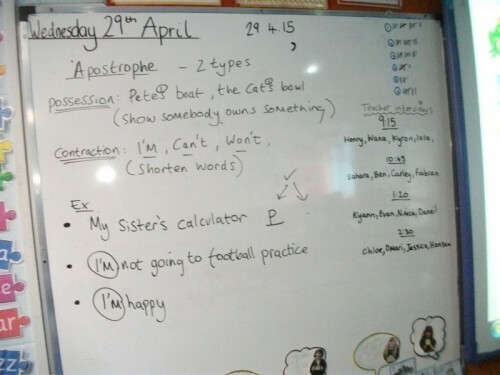 Bluebirds learned about the different types of apostrophes. 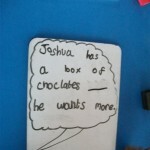 They learnt they could be possessive “when it belongs to something or someone”, said Kyron. 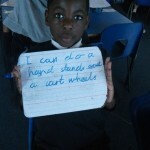 Or it could be a contraction, “where words can be shorted”. 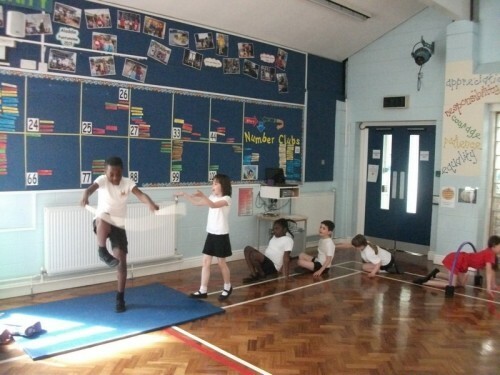 In PE, Bluebirds class learnt to develop their coordination skills by going through a series of obstacles laid out by Mr Altariva. 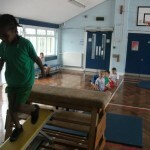 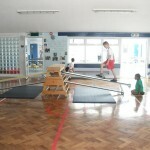 They all did wonderfully well at climbing and jumping and all tried effortlessly at the challenges through out the lesson. 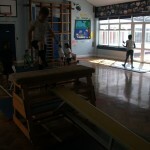 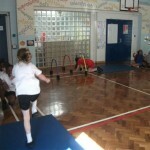 A brilliant lesson and good coordination skills. 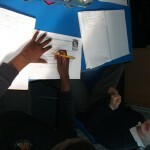 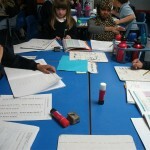 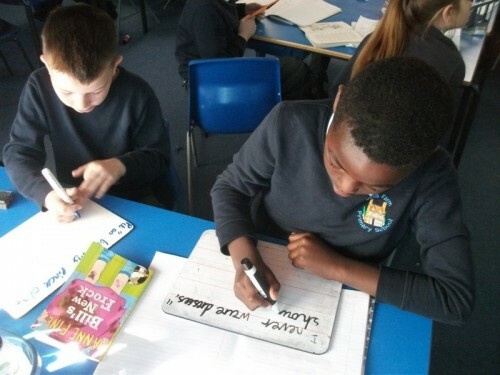 In Literacy, Year 3 learnt how to use speech marks correctly. 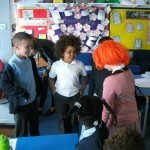 We read out a scene from a book we have been looking at and the children acted out characters. 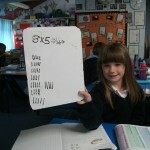 They then made sure they put in in speech marks and the correct punctuation to make it look proper. 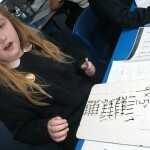 “When using speech marks you need to use a new line for a new speaker”, Hanson. 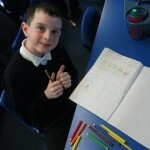 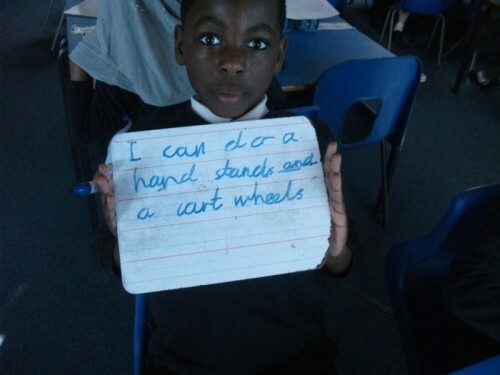 ” You need to make sure you have speech marks at the start and end of what someone has said”, Kyron. 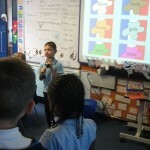 We touched on using speech verbs, where we could use words like ‘whispered’, ‘shouted’ and ‘told’ instead of ‘said’. 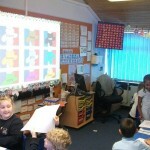 A great lesson, well done Bluebirds class. 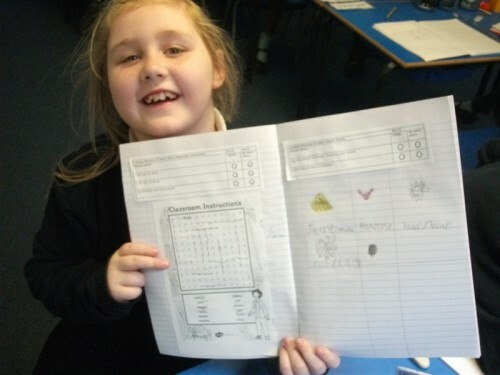 Well done Bluebirds class on your spelling, grammar and punctuation. 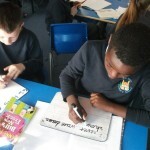 Today we learnt how to put the right conjunctions into sentences. 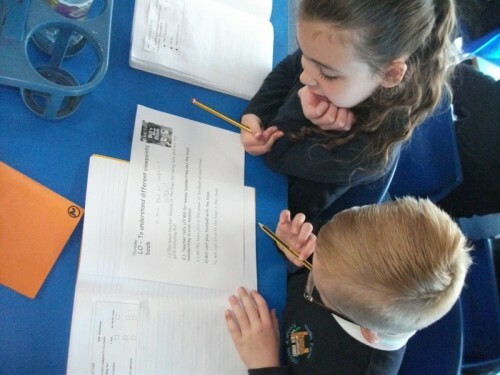 We made up some sentences as a class and took away the conjunctions then got our class mates to fill them in and use the correct sounding ones. 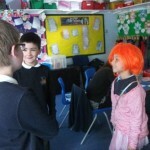 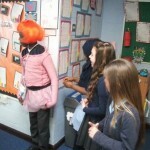 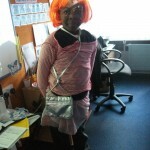 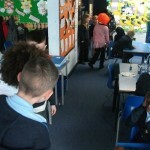 In Literacy, we did a role play today based on the book, ‘Bill’s New Frock’. 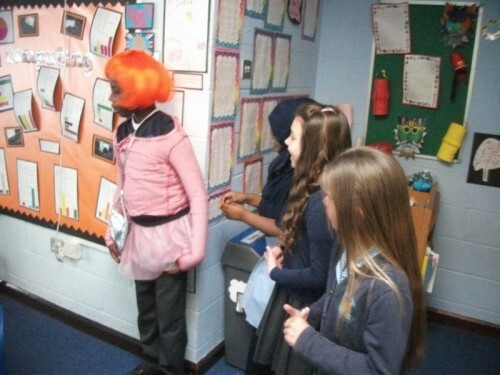 They acted out scenes from the book where the Bill wasn’t allowed to play football with the girls because he found out that day he was now a girl. 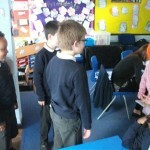 We had discussions on how it felt to be different characters in the book. 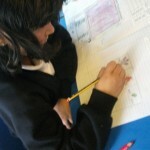 hen answered comprehension questions in our books to see how well they understood the scenes from the book. 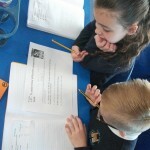 Bluebirds have been rounding to the nearest 10, 100 and approximating their answers. 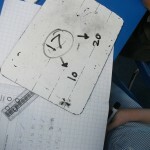 First we would get the two digit number and see which possible tens it could fall into. 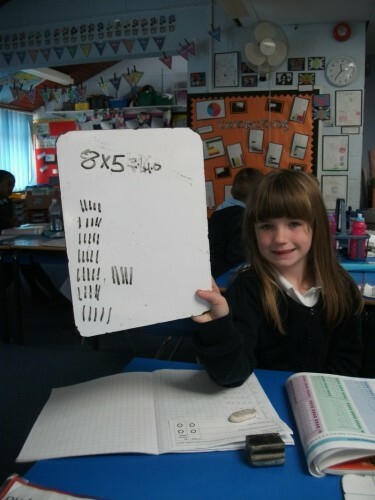 We would then see if the number fell on the 5 or above in that ten to round up and below 5 to round down. 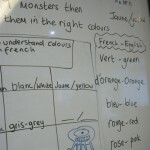 In French today, Bluebirds class loved learning about the French colours. 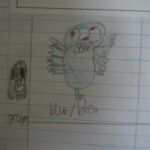 We all created monsters and then decided to colour them in different colours. 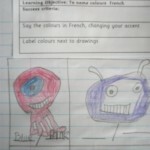 We then had to label the colours in French and English.